Snap Inc CFO Tim Stone is the latest in executive departures from the company. Stone has been a part of Snap for less than a year. Shortly after the announcement, the company’s shares took a hit, dropping 8 per cent after market trading. In a filing by Snap Inc, the company said that Tim Stone’s departure isn’t related to any sort of disagreements with the company. 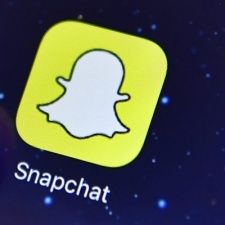 Snap also stated in the filing that it expects to report fourth-quarter revenue and adjusted earnings. Snap Chief Executive Evan Spiegel stated in a memo to employees on Tuesday: “Tim has made a big impact in his short time on our team and we are very grateful for all of his hard work." Stone will remain at Snap to help with the transition and the company’s fourth-quarter earnings call on February 5th. Snap has taken a few hits in the past year, one of note is the reaction to its redesign of the Snapchat app. It has also tried to restructure and target a different demographic in order to fuel growth.